You are now at the junction between Deansgate and Churchgate. The road running along the right hand side of the picture above is Bank Moor, which used to be known as Windy Bank. 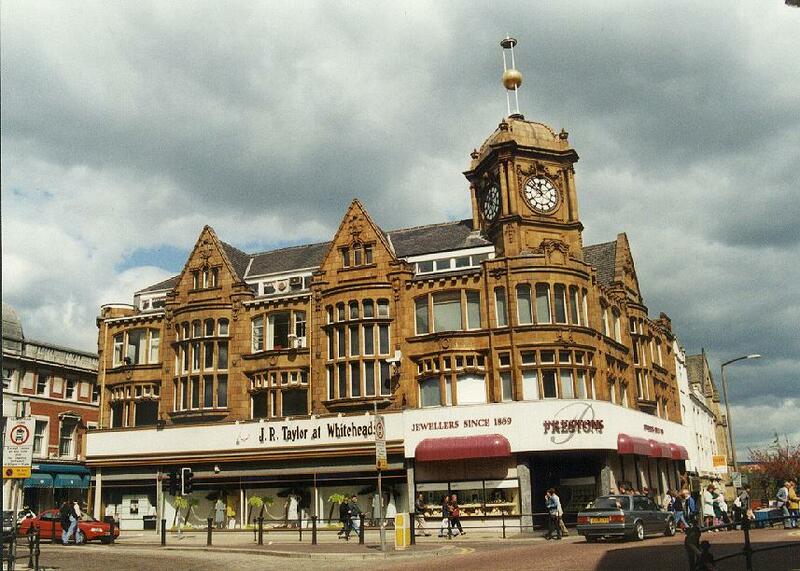 Preston's of Bolton The Diamond Centre of the North , is a terracotta building housing a famous jeweller. The time ball above the dome used to be raised at 9.00am, and fell at 10.00am on receiving a telegraph from Greenwich. Here you'll find the parish church of St. Peter's, Bolton-le-Moors, and the cross, which marks the spot of a 17th Century execution, and a place or two to eat! The Swan Hotel, an old coaching inn, is on the right. 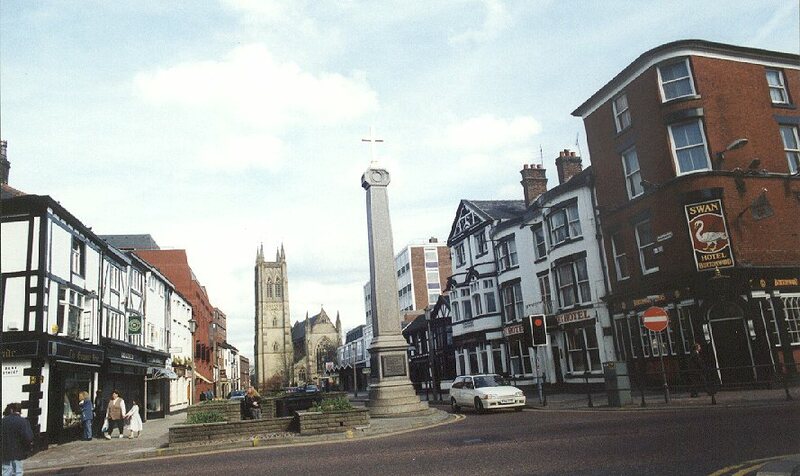 When in Churchgate, you take a closer look at the Marketgate Cross in the centre, which has bronze plaques with nearly 700 years of Bolton's history inscribed. You can also see an online copy of the local evening paper, visit the oldest inn in Bolton, and have a look at the parish church in some detail. 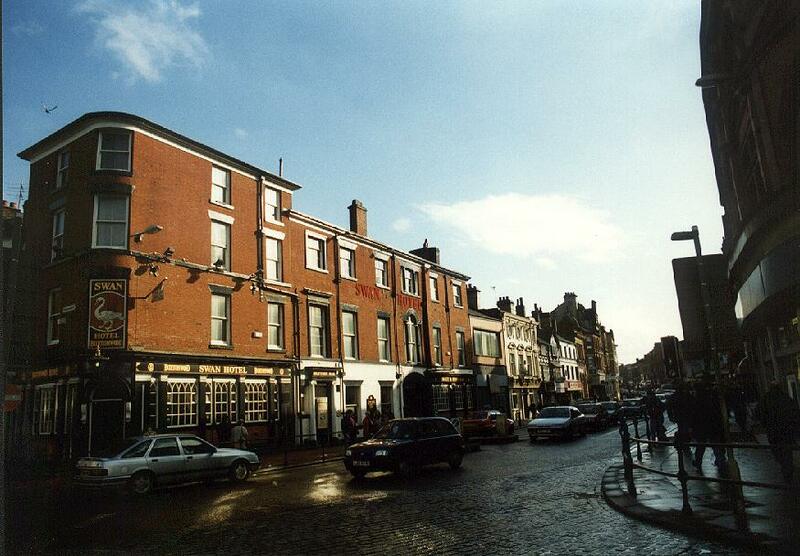 This will take you to Hotel Street, the Market Place, and Bridge Street. 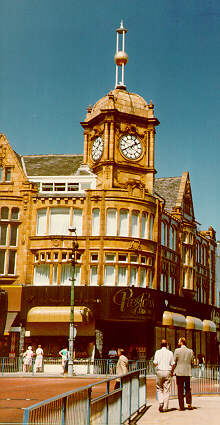 Preston's is on the immediate right, then Whitehead's, the independent department store. (Closed 2002) At this point, traffic entry is restricted during the day to buses only. Bradshawgate leads past Nelson Square to Great Moor Street. On the left is an old coaching inn, and you can take a peek into the Swan Hotel. 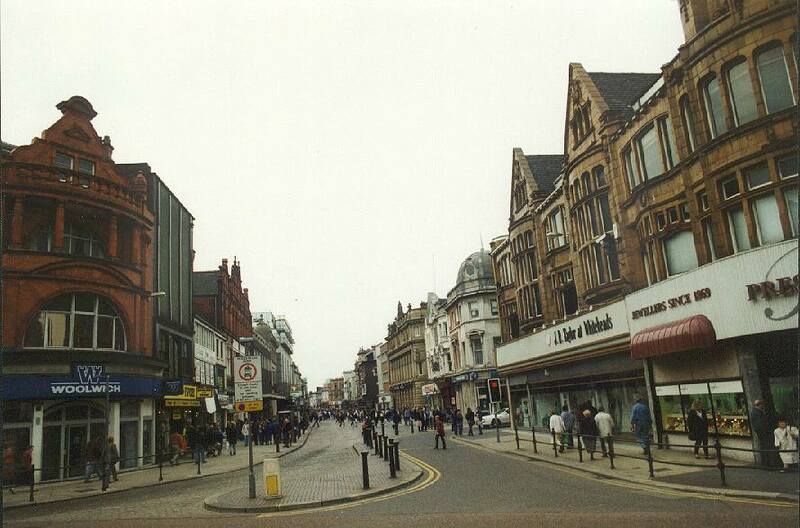 At this junction, through traffic is diverted away from the pedestrianised area during the daytime, however buses are permitted along the service roads into the centre of town.